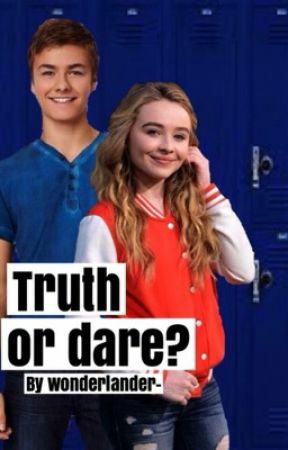 "Farkle, truth or dare?" Riley asked and smiled mischievously. "Boo, you coward" Lucas laughed. "Okay, dare, but you my friend, are next" Farkle smiled playfully to Lucas. "I dare you to call pizza hut, order three pizzas with double pepperoni and pay for them yourself" Riley started laughing and high-fived me. "Ugh, okay" Farkle said and ordered the pizzas, money wasn&apos;t and would never be an issue to him. "Now, Lucas, truth or dare?" 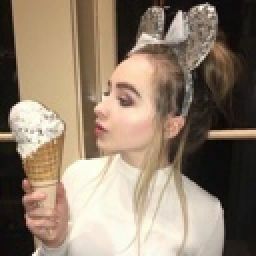 Farkle said in a teasing tone. "I dare you to make out with Maya" Farkle raised one eyebrow. "This is about to get interesting!" Riley said and elbowed me. "Easy cowboy, there must be something else!" I said to Lucas who wouldn&apos;t say a word. Lucas wasn&apos;t ugly; in fact, he was really attractive but... what the heck Farkle!? "Nope, a dare is a dare; remember when I ate an ant Maya?" Farkle said. I&apos;m not going to deny it, it was so funny! "It&apos;s okay Maya, just one kiss" Lucas finally talked. "No, not just one kiss! I want a make out session!" Farkle exclaimed and I clenched my jaw. "In the closet" Riley added. "Riley! What side are you on?" I asked angrily. "Would you rather we sit here and watch?" She answered and to he honest, she had a point. "Go you two lovers!" Farkle chuckled. Why. Were. They. Doing. This? "Come on Maya, it won&apos;t be that bad" Lucas took my hand. What was wrong with the world?! But Maya seemed so upset right now! "YOU DIDN&apos;T JUST TELL THEM TO MAKE OUT" I couldn&apos;t help but to laugh hysterically. "I did, Lucaya is my ultimate creation, that way, I will have you all to myself" Farkle smirked. "Ugh shut up Farkle!" I laughed and hit him playfully. Lucas and I got in the closet, I had never made out with anyone. Like EVER. "Well, I guess here we are..." Lucas rubbed the back of his neck awkwardly. "Yeah..." I replied even more awkwardly. "So..." I started saying but I didn&apos;t even have time to finish. All of a sudden, Lucas&apos;s lips where pressed again mine. He put his hands around my waist and I put mines around his neck. So this is what making out is like. I saw sparks and felt butterflies all over my stomach. Wow. Just wow. No, I won&apos;t fall for Lucas. No. We stopped kissing and looked at each other, Lucas was smiling and I smiled back, then, he took my hand and we got out of the closet. I cleaned my mouth with my sleeve. "And, how was it?" Farkle asked. "Shut up Farkle" I said and he laughed. Woah. Sparks, fireworks, I just couldn&apos;t describe the feeling. Woah. "Now it&apos;s my turn, Riley!" I tried to hold back the fact that I was still thinking about Maya&apos;s lips pressed against mine. "Err... Did you cheat on the calculus test?" I asked, I really didn&apos;t know what to ask. "Maya!" she then screamed in excitement. "What now Riles?" She rolled her eyes. "Truth or Dare?!" Riley was super overexcited. Maya seemed to be having an awful time. "How was your kiss with Lucas?" She asked and for a second her eyes shined. "It was fine" Maya answered with no excitement at all. "Guys, I have to go, see you" Maya got up and walked towards the door. "But the pizza isn&apos;t even here" Farkle pouted not noticing the situation had just gotten weird. "Wait Maya" Riley said and grabbed her arm, and then they left.